Date: 3.03.2018 | House, Techno, Minimal | Tags: Back In Black, The Very Best Of, Chapter, Natura Viva Black, Konrad, Don Weber, Kohotek, Luthier, Jody 6, Sam Saw | Download Back In Black! (The Very Best Of) Chapter 4 (2018) for free. 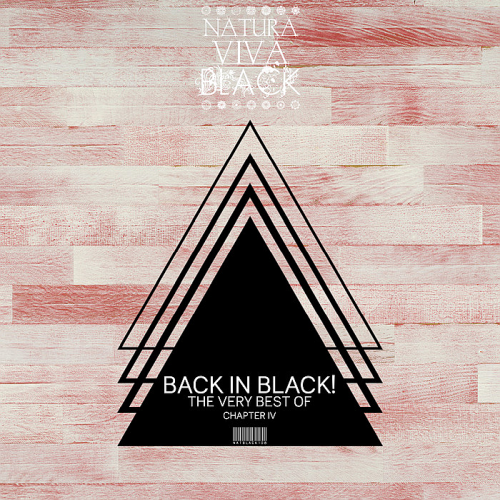 Natura Viva Black is the raw, dark and deep Techno sister of Natura Viva. Latorrata Donato, aka Don Weber, is a dj producer born in south Italy. Specializing in Techno music in 1 year he was able to demonstrate his value by becoming part of very important labels. Thiago Vieira and Romulo Avila are the names behind the Duo that leads the project, producing tech-house with excellence. The band has been released by major record labels such as Cr2, Stealth, Natura Viva, among others. Heinrich & Heine isn't only the fusion of two passionend musicenthusiasts, but one of the most fastest rising electronic acts in Germany.Consisting of a producer and a DJ, this symbiosis equals in absolute harmony. With a highly filled booking schedule and more than just a couple of tracks ready for release, Heinrich & Heine is ready for a takeover!